We’ve discussed about so many different gadgets in our blog. 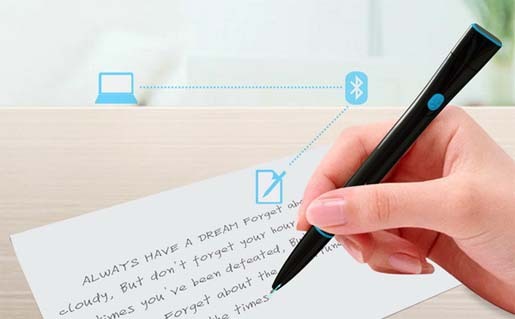 In such a way, Recorder Pen is the new concept that is capable of converting your writing into electronic files. 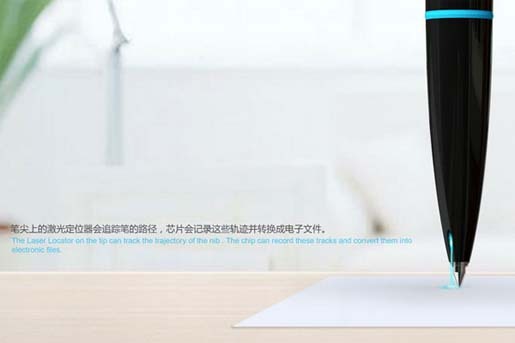 After the converting the files, the files will be transferred to your computer or Smartphones via the Bluetooth connectivity. 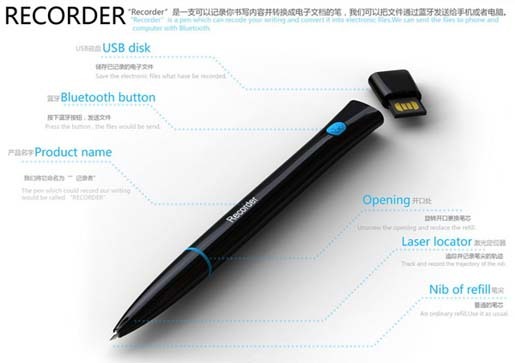 With this gadget, you can have a laser locator on the tip, built-in processor and a USB flash drive. 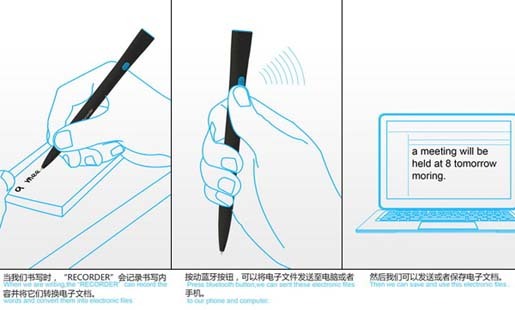 The designers of this Recorder Pen are Xia Xiaoqian, Renming Jun, Han Ricoeur, Liu Peng, Meng Bao, Weicheng Jie & Yang Xiao. Let’s thank them to make our work simpler.